It’s almost that special time of year again when Stampin Up gives free product with every $50 order. Sale-a-bration begins January 25th. I have seen the Sale-a-bration catalog, played with the new products and I think you will be happy with the options available. Great new stamp sets, fun paper, happy embellishments, digital downloads and a decor elements item. 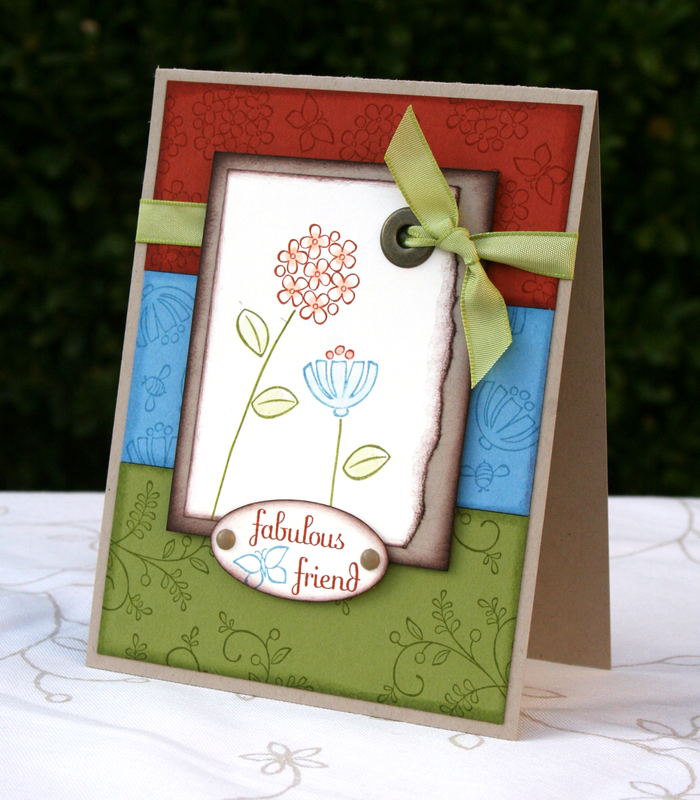 Here is one of the cards I made using the Sweet Summer stamp set. It is such a cute set, it has 3 flowers, 1 butterfly, 1 bee, 1 bird, 1 flourish, 1 leaf and a stem with leaves. I hand drew the stems on this card and added the single leaves because I wanted them to look a certain way. The flowers and leaves were colored by using a Blender Pen after stamping the image. The key is to be quick and not over color. The more you color with the blender pen on the cardstock, the more you tear up the fibers. I’m really pleased with the way this card turned out, rarely does the project end up looking the way I envisioned it in my head. Thanks for looking, check back tomorrow for another Sale-a-bration peek. I just found your blog and love it ! Your use of colour is really inspiring…. Hey! Just stumbled on your blog and I am drooling at your creations! They are amazing! Just subscribed to your blog and can’t wait to see more beautiful things! Your work is stunning, Jessica! I am so appreciative of your shares. I signed up for your blog so that I don’t ever miss one! Well done, my dear! Another pretty card! I love your cards!